Northumbria sent 3 teams to manchester to compete in the Northern Cup. The U19 team played at Grove Park. The team was – Cole Windscheffel, Simon Graham, Barney Wareing, Richard Ridgway and Martyn Hope. They played in a round robin of 5 teams and unfortunately lost all 4 matches and finished 5th. 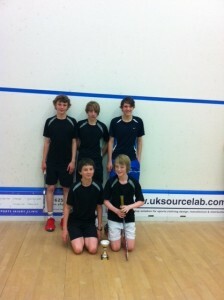 The U15 team played at Alderley Edge Squash club. The team was – Dan Wareing, Chris Wiggins, Alex Robertson, Jamie Todd and Adam Bainbridge. The team made in comfortably through to the final against Merseyside. Both Alex and Jamie took early wins and Chris led 10-8 match ball to take the win but unfortunately lost out and the team lost 3-2 to get 2nd place. The U13 team played at Prestbury Squash Club. 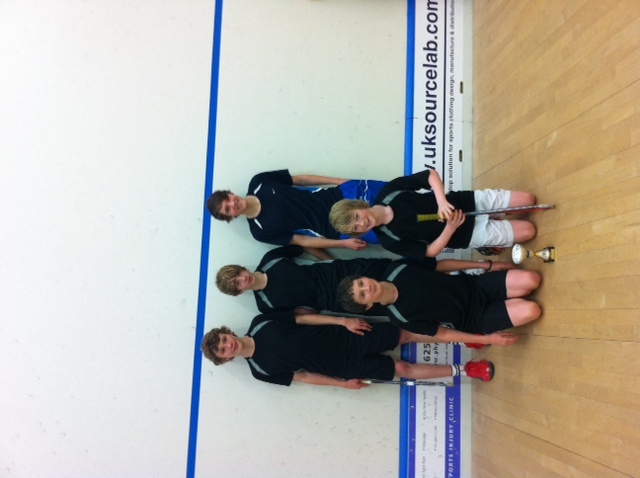 The team was Michael Mattimore, Joe Wareing, Alex Dyter, Angus Forster and Ben Waugh. The event was a round robin on 6 teams, we lost 2 matches on the Saturday against Durham and Cumbria but won all other matches and after all the points were tallied up finished in 2nd place.